Basements & Bugbears is a short story game about some friends who are pretty sad, probably gay, and certainly nerds. Try to inspire a group of people struggling with their personal bugbears over the course of one last session of B&B. Roll some dice, give some smooches, and slay a dragon. Maybe be a punk and smoke a joint? I don't know, we won't make you. It's your narrative-adventure-game-decision-making-life, pal. Thanks for reading the credits, you good samaritan. Not that it matters, the author is dead anyway. ... Not like, literally, we're all alive as of writing this. But figuratively. Just go play the game before this gets more existential. When i saw "The End" my reaction was "NO NOT YET, PLEASE"
this was a truly amazing game. it had an interesting story that manages to catch your full attention, and deal with issues many people have after leaving high school. it managed to pull at my heartstrings and in the end, even had me crying a bit, like a good story should. thank you for making this game, gryph0n. I can not get past the main screen, when I try to click on the menu items there is no response. I get the rain fall animation and the audio of thunder and rain but that is all. AhhhhH! Thank you so much! I really enjoyed this game! I felt real emotion from all the characters. I hope you make more games with these characters cause they are just so darn cute. 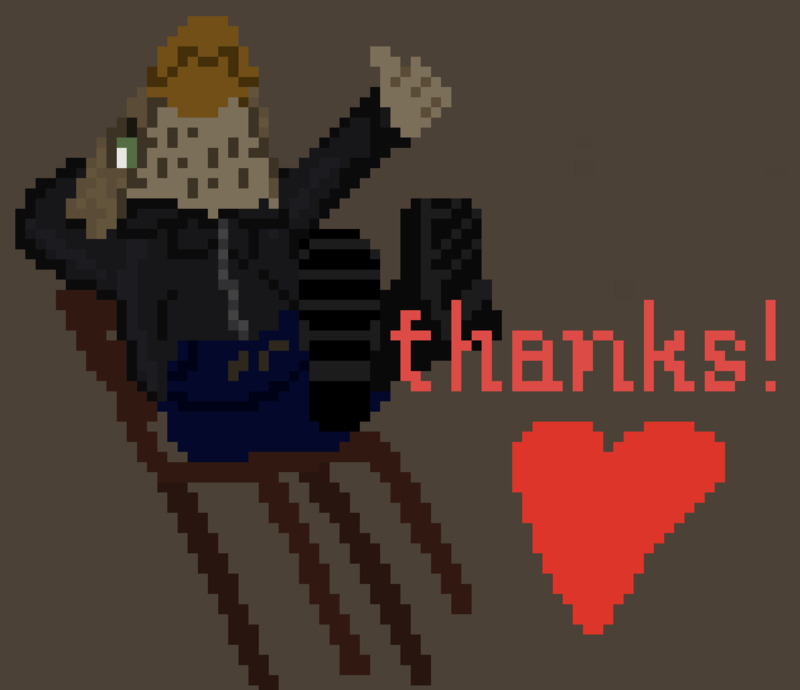 Thank you for making such an awesome game! Can't wait to see what you have in store in the future! Thank you so much 💜so happy that you enjoyed the game/its characters and thank you for playing! Just finished your game, and I must say - it was surprisingly good, heart-melting even. Great work! This was absolutely adorable, such a chill experience. It really brought back the memories of facing graduation for me. I just wanted to leave my computer on that last scene forever. For some reason my game won't open. Any ideas as to why? What platform are you on? I’d suggest changing the graphics settings in the splash menu if you can get that far, otherwise on Mac it might be a permissions issue! BUH thank you so much! !